The country’s top banks could end up paying thousands of crores in tax for the free services provided to customers over the past five years. If the Income tax department’s demand is upheld, customers may be charged for many services in future. Why: Several banks allow only five free transactions, even at their own ATMs. If you can’t do without cash, withdraw larger amounts at a time to avoid paying more. You save: Rs 10-20 per withdrawal, Rs 5-8.50 for non-financial transactions. Why: Every additional chequebook attracts charges. 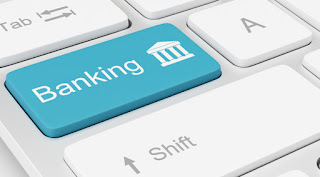 Transfer funds through Netbanking for free. You save: Rs 20-150 per chequebook, depending on the number of leaves. Why: The outstanding amount will continue to attract hefty interest rates. You save: 39-42% per annum in interest. Delay of three days could attract charges of up to Rs 750. 4. Take the auto-debit route for card billsWhy: Set up an auto-debit mandate instructing your bank to deduct a minimum 5% of credit card bill on the due date to avoid steep penalty. You save: 39-42% per annum that would have been levied on the unpaid amount. Why: Utility companies levy late payment fee on delayed bill payments. Bill pay services or standing instructions to your bank ensure your bills are cleared on time. You save: Penalties ranging between from Rs 40 and Rs 100, depending on the utility company. Why: Banks charge a fee for issuing duplicate physical statements or passbooks. Why: Banks allow 3-4 free cash transactions at branches in a month. You save: Rs 50-150 per transaction. Why: Not maintaining the required balance attracts non-maintenance charges. You save: Rs 10-600 per month. Why: Not only can dishonoring cheques attract charges, it is also a criminal offense under the Negotiable Instruments Act. You save: Rs 500-750 per cheque. Why: Some banks charge a fee for countermanding cheques through the physical route. Why: Issuers levy a transaction fee, in addition to interest payable. You save: 2.5% of the amount withdrawn or a minimum of Rs 300-500. Why: If your card usage exceeds the credit card limit granted to you, your card issuer will levy a fee for extending this facility.